Home >> Listings >> Jerr Dan Corp.
Jerr-Dan’s 25-ton custom wrecker increases your payload with a reduced overall weight. 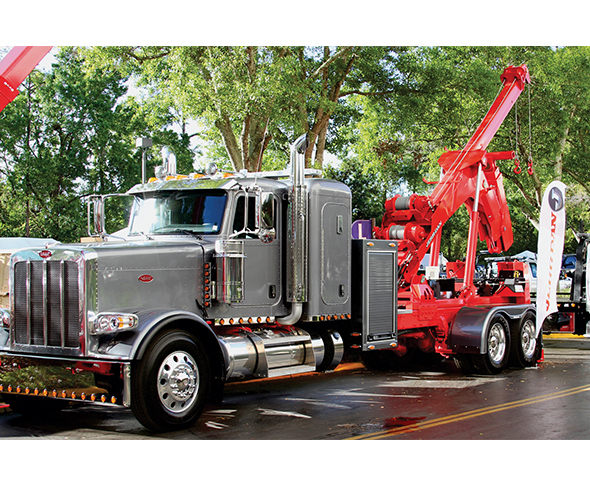 Full lifting and recovery capabilities including extendable recovery boom, hydraulic spades, and dual 25,000-lb winches. The 25-ton custom is an integrated unit, allowing for versatility in lifting height while towing. Optional 36” tunnel tool box for storage of tools and equipment. Call 800-926-9666 or visit www.jerrdan.com.